Teaching phrasal verbs is an inevitable step as students gain proficiency and aim for a more natural speaking style. 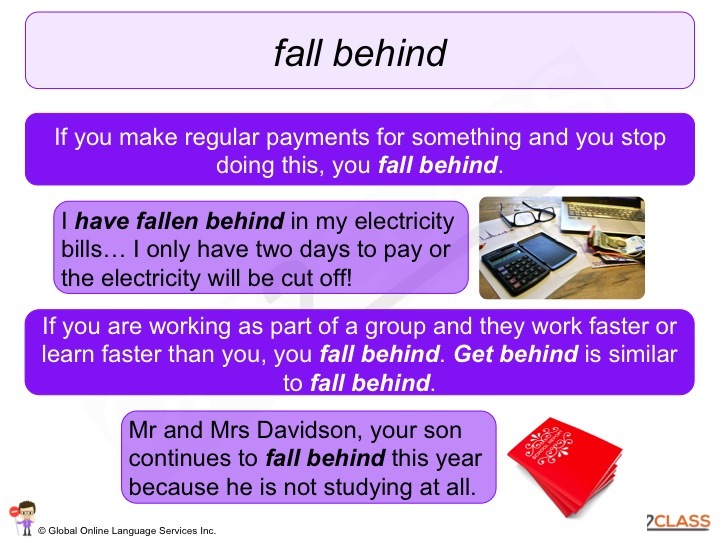 Native speakers use phrasal verbs frequently and it is likely that your students will have already asked about the meaning of common phrasal verbs, such as get out, fall off and break down, even before you make them a specific lesson topic. 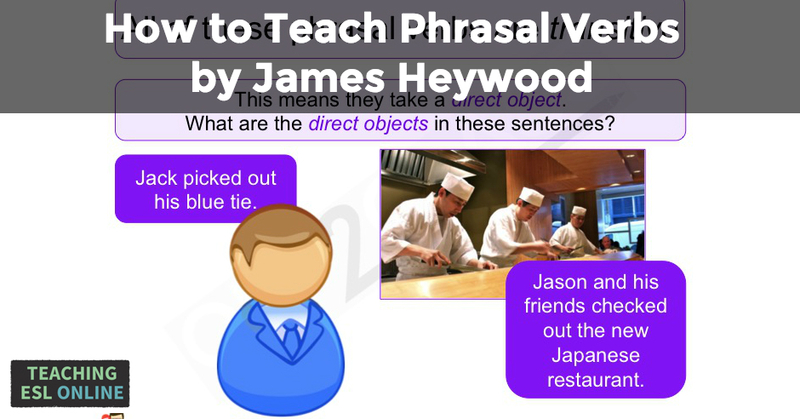 The challenge with phrasal verbs is that it is often just as challenging for the teacher as for the student… Today I’m going to lay out the general attack plan I use to tackle phrasal verbs with my own students. 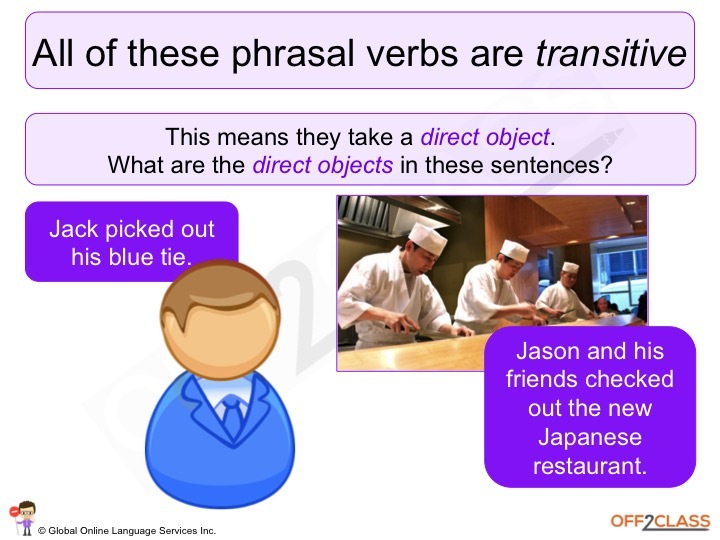 Disclaimer #1: I focus on teaching one-on-one lessons online and have developed a set of my own phrasal verbs resources that I use to teach online, though most of my strategy (and resources) can be adapted for an in-person or group teaching approach. Disclaimer #2: Teaching your student phrasal verbs is not a skill that you can cover in one lesson! You’ll need a series of sessions with your student before they feel comfortable weaving even basic phrasal verbs into their everyday speech. We suggest introducing one grammar concept at a time then return regularly to lessons focused on phrasal verbs. Disclaimer #3: You must introduce the necessary grammar with your students so that they can make sense of constructions. 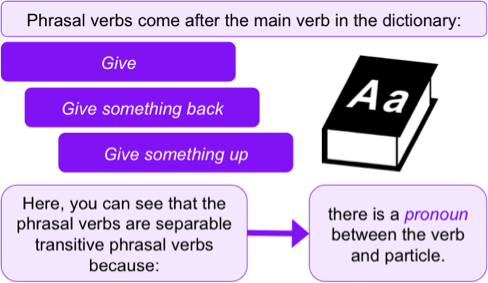 Many teachers feel awkward answering students’ questions about phrasal verbs, and it’s generally because many teachers do not possess the knowledge of the grammar to answer the question. Additionally, teachers don’t agree on the grammatical terminology (I actually prefer multiword verbs to phrasal verbs but I won’t get into that here). Whatever you call this area of grammar, just be sure to know your terminology. You need to pick a set of resources that you are comfortable with and stick with it! – I completed my assignment and handed it in on time. – The policeman let him off. – The children picked on me. – I completed my assignment and handed in it on time. – The children picked me on. 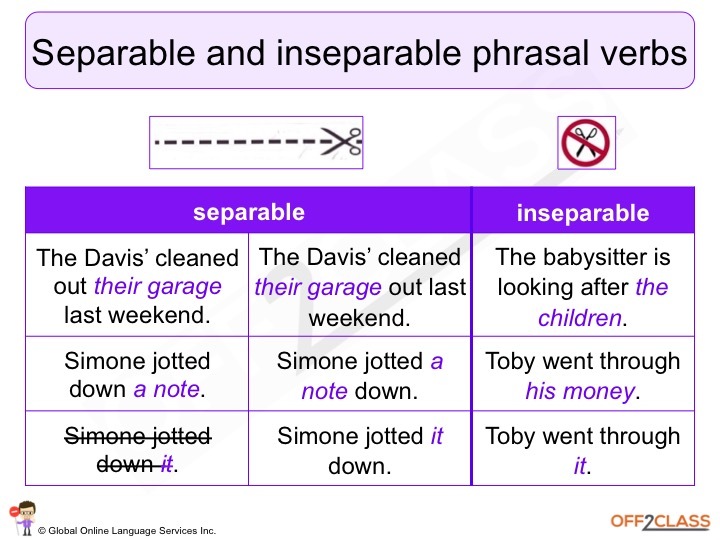 A particle is not an adverb or a preposition, but yet, has the same form! At times, the grammar can feel a little intense! 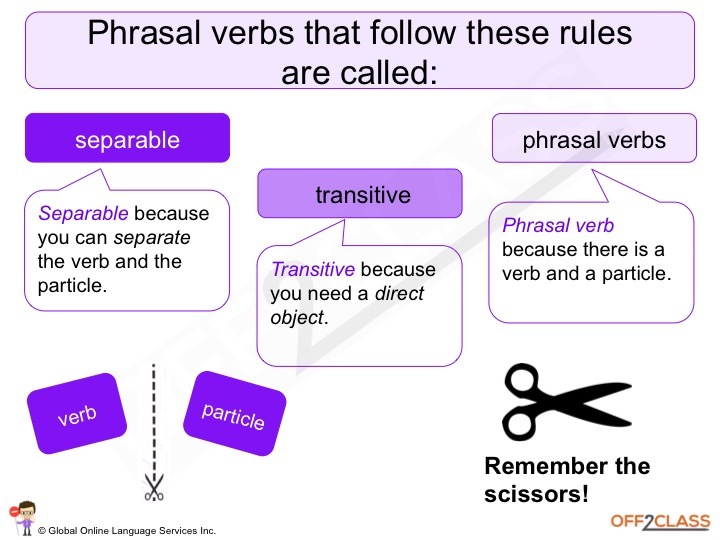 I like to introduce one grammatical concept to a student at a time, such as the properties of separable transitive phrasal verbs, and introduce some common phrasal verbs definitions and examples in context. 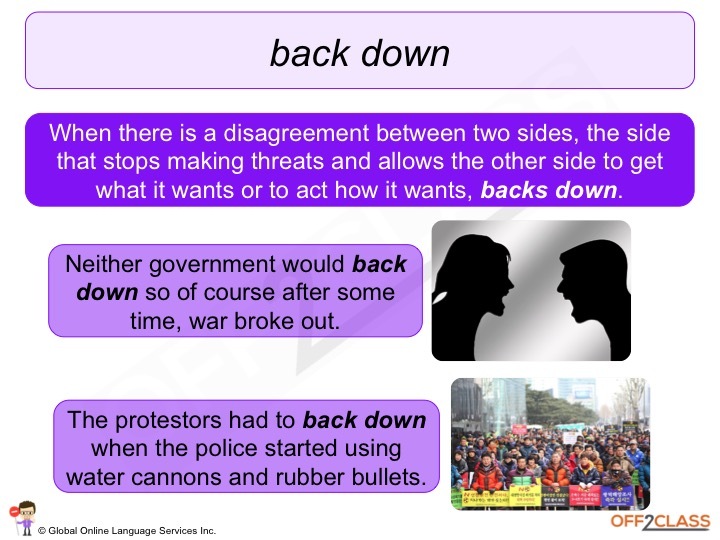 We then take a break from the topic, and come back to attack the next section of grammar and common phrasal verbs definitions and examples. A note on dictionaries: A good dictionary is vital to understand and use phrasal verbs for your students. This can be either an online resource or a regular hardcopy dictionary. So as a summary: You must introduce grammatical terminology to allow a student to reach high proficiency with phrasal verbs. However, go slowly. Introduce the grammatical properties one at a time, and then introduce a number of common phrasal verbs that possess the property. Move from controlled to free activities slowly. And most importantly, return again and again to the previous grammatical terms and properties covered. *In no time at all your student will understand that let someone off is a permanently separated transitive phrasal verb! 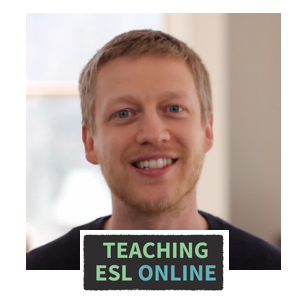 James is an online ESL teacher and co-founder of Off2Class. He has a background in language and linguistics and has logged over 4500 hours of online ESL tutoring in the last 3 years. You can read more about him here. 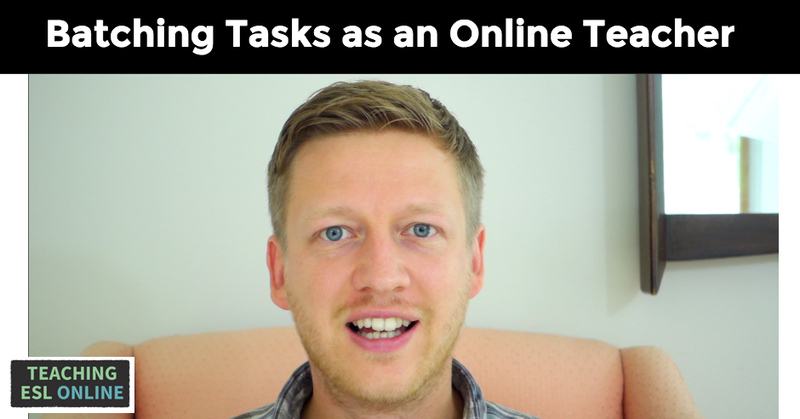 He is head of content creation at Off2Class and has recently released our Phrasal Verbs category, which includes 32 lessons designed to get you teaching Phrasal Verbs to your ESL students. It’s easy to go plugin-crazy after installing WordPress. Plugins add functionality to your site and a lot of them do really cool things. But my criteria for a plugin is that it has to be useful and it has to be secure. If it doesn’t help your site do what you want it to do, don’t add it. And be sure to only download plugins from trusted developers. Look at the reviews and ensure that the plugin you’re getting is up to date. The bottom line is: think quality, not quantity. And with that in mind, I want to share three plugins that I love, starting with one that will help your site be found in the search engines. 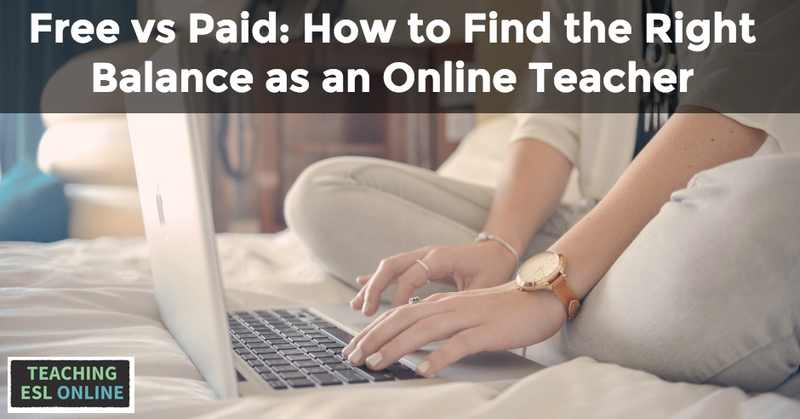 I wrote a post a few months back on how I suggest online teachers approach SEO. In a nutshell: write articles that are valuable for those in your niche and customize your site for the search engines without going overboard. Write for humans, not for Google. The easiest way to customize your site (onsite SEO) is to use this plugin. I use it to modify the title, description, and keywords of a page or post. There is so much more that you can use it for and things can get technical very quickly. Luckily, the kind folks over at Yoast have written a getting started guide to make things easier. This means that you can create click bait headlines inside Facebook – “You will not believe the plugins that this English teacher is using! Number 3 changed my life!” – while keeping your original headline on your website! I use this to change the description on some posts and ensure that the picture is optimized for the Facebook news feed. This optimal size keeps changing (right now it is 470 x 246 – I usually double it) but it’s worth keeping up with this to make your images look great on Facebook. This link is an affiliate link that will take you to a site where you can add affiliate links on your site – just like this link. If you decide to start using this plugin and make money from it, I will get a small commission. Affiliate marketing is where you promote products or services that you haven’t created yourself. If someone makes a purchase through your link, you receive a commission. I have affiliate links throughout this site. For example, in my tutorial on WordPress, there are affiliate links for hosting, themes, and domain name purchases. One problem you’ll face if you promote multiple products on your site is that you’ll have to go through the process of signing up with each merchant. Sometimes, the payment thresholds for these merchants are quite high meaning that it might take you a while to get paid. And it can be a pain to go into your account to find your affiliate link every time you need to add it. Skimlinks has solved these problems. It works like this: you get an account, install the plugin, and then all you need to do is type the merchant link directly onto your site. Skimlinks automatically turns the links on your blog into affiliate links. Another benefit is that because they are dealing with high sales numbers, the company often negotiates higher commissions. And they allow those who can’t sign up to Amazon Affiliates due to geographical restrictions the ability to market Amazon products. It’s difficult to make a living from affiliate marketing, but I certainly don’t complain about the extra income it brings in. And Skimlinks simplifies this for you. This picture below – taken from this article – made me laugh. 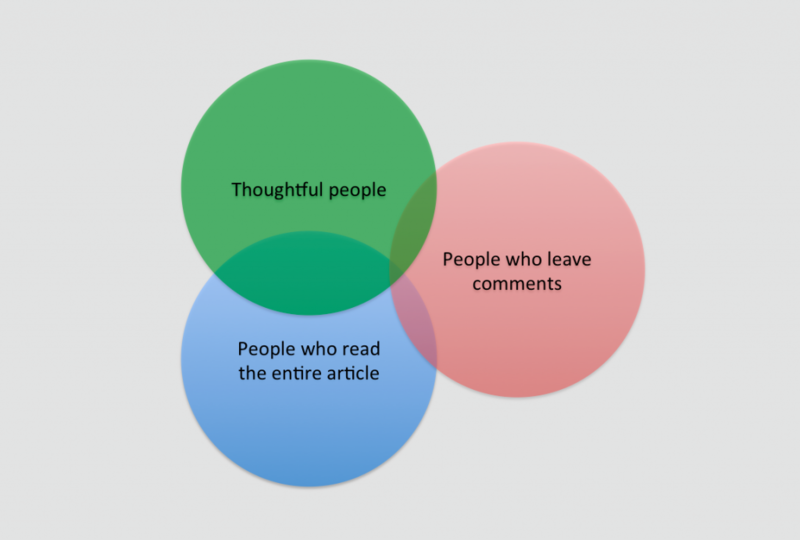 I haven’t found this to be the case on my sites; I’m actually quite surprised at how many thoughtful comments are left (thank you!). A part of this is down to me using Disqus. With most other commenting systems, you leave your name, email, and URL. Your name links to the URL you left. This gets spammers excited. With Disqus, you can sign in with a native Disqus account (when you click someone’s name, it pops up with a bio), through your social accounts, or as a guest (just your name and email). This reduces the amount of spam you get. When someone leaves a comment on your blog, you are sent an email notification. Hit reply, type in your response, and your comment will show up on your blog. This saves you from having to go to the blog post each time you reply. Are you going to start using one of the above plugins? Already doing so? Please leave your thoughts below. And please share any plugins that you find useful. If you are an online teacher, you will already know the importance of giving things away for free. This includes articles/ebooks you have written, videos you have made, trial lessons, and your time. But how much should you offer for free? How much time should you spend helping others without payment? And what content should you reserve for paying clients? This post lays out some guidelines on how to strike the right balance between free vs paid content/lessons. But first, I explain the importance of helping learners for free. Why Offer Content and Your Time for Free? 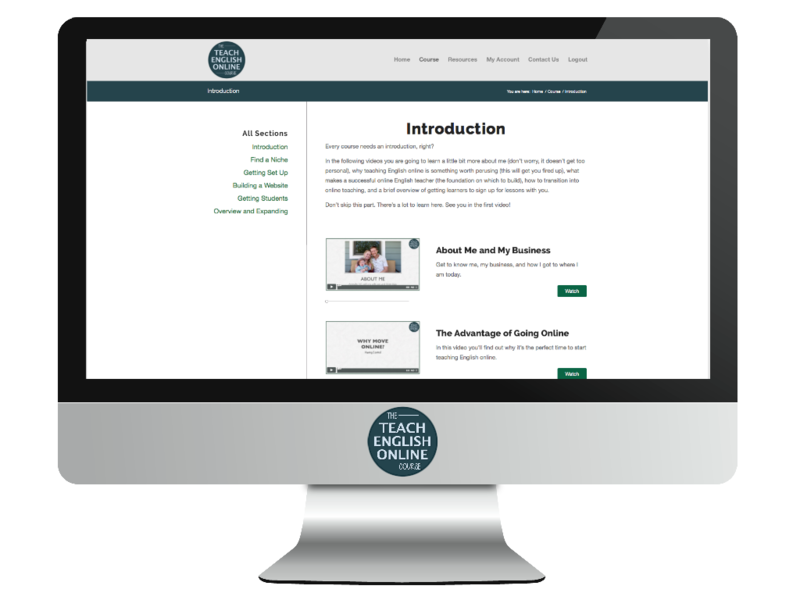 The reason behind creating free content and helping learners is simple: it helps you grow your teaching business. For example, my YouTube channel has nearly 50 videos now. 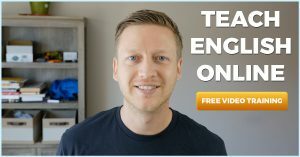 A percentage of those who come across one of my videos will take further action by either signing up to my email list or by purchasing my course. This is called content marketing and if you do it right, it can be very powerful. Although the content you create is free, it still has to be high quality. Creating things that are valuable will help you reach more people, show your value to prospective clients, and ultimately result in more sign-ups. In addition to free content, you can also help learners directly. One of my earliest posts on this blog talked about charging for a trial lesson. If you are just starting out, you will most likely offer this for free. You can also help learners directly by answering questions on social media and through email. Again, this is showing that you’re a real person, that you’re there to help, and it offers a glimpse into the value you offer. Starting conversations with learners in your niche is one of the most powerful ways to sell something. That is why I have systems in place so that I can start as many conversations as possible (more on this later). A good example to highlight all of this is the free samples on offer at Farmers Markets. These samples attract you to the stall, let you know how good the product tastes, and you soon enter a conversation with the seller. And as you’ve been given something for free, you feel guilty about walking away without buying something. This is the reciprocity principle and it applies in the ESL/EFL industry too. I hope you can see how important it is to help learners for free. But…. There are learners who will take a trial lesson without any intention to pay for future lessons. There are learners who will ask you a thousand questions but will never buy anything from you. There are learners who will read every article you have but will never send money your way. And when the above happens, it can be discouraging, especially when you’re first starting out. You’ve just given your time to help someone and you get nothing in return. Another concern is finding the balance between free and paid content. If you give away too much, won’t learners just take the free over the paid? Filtering learners helps you spend most of your time on those who are able and willing to pay for what you offer. This starts with your niche. For example, if you advertise in countries where credit card ownership is non-existent, you won’t get anything back in return. Therefore, targeting learners who are able and willing to pay is the first step. You can also filter after the fact. For instance, you don’t have to administer all trial lesson requests – you can filter out those who you know won’t be able to pay for lessons. There is a limit to how much you can filter – search engines, for example, will show your site in different countries – and the filters that you put in place will ultimately come down to you and where you currently are with your teaching business. I receive so many emails and messages from learners who want to chat on Skype or elsewhere. If you have an online presence, I’m sure you get this too. What I do in these situations is reply stating that I don’t have conversations with learners on Skype and send them a link to my landing page to get a free ebook. I let them know that they can ask me questions through email after signing up. Think about rules that you can apply for the different situations you face. If you offer one-to-one or group lessons, you don’t need to worry too much about how much content you give away – live lessons involve much more than what content offers alone. In fact, the two can supplement each other: you can take the lessons plans you used with your learners in class and repackage them as articles, videos etc. It’s what I did for a long time on my old teaching site. If you sell products, then you will no doubt have thought about exactly what you should give away for free and what you should reserve for your paid product. You will probably have thought, “If I give away too much, nobody will buy my course.” But you also know that you need to create valuable content specific to your niche to grow your business. One thing to note is that people buy for convenience and structure. For example, I came across a really useful video on photography and decided to buy the book they offered straight away. I did this knowing that I could have found most of the information on their YouTube channel for free. The book was laid out in a logical way, gave me exactly what I wanted to know, and saved me a lot of time. This also shows how important it is to create valuable content: I bought the book because I was really impressed with the initial video. Additionally, the course/product you offer can include support and feedback just for those who sign up. There is so much that you can add to a product than what you can include in an article on your blog. Finding the balance between free and paid can be difficult, but don’t be scared of putting out free content that will help those in your niche. In my experience, the more you give, the more you receive. There are two types of learners: those who will potentially buy your lessons/courses and those who won’t. And as I talked about earlier, you can filter learners in various ways so that you are spending your time more efficiently. However, there is a lot to be gained from helping learners who will never buy anything from you. Giving away free content and responding to emails from those who can’t afford what you offer just seems like the right thing to do. And when you do this, those who you help are more likely to share your stuff which, in turn, helps build your brand. Providing free content and interacting with your learners is vital if you want to build your brand. How much free stuff you put out there depends on you and what you’re trying to build. My own take on this, as I have talked about before, is to give as much as you can. This not only helps you sell more of what you have to offer, but it also helps you learn more about those who are in your niche. However, I do this on my own terms and think about ways that I can scale the free content and advice that I put out there. I would love to hear your thoughts on this, so please leave any comments you have below.